I am very excited to introduce to you the electronic newsletter from IAEG that we have called the IAEG Connector! For the past three years, our IAEG Executive Committee has been trying to figure out a way to increase communication with all of our 4,300 members around the world. We have newsletters come out three to four times a year, but in between there is very little connection. We have teamed up with a company called Multiview to produce a weekly newsletter that will include information on IAEG, our upcoming congress, commissions, news of national groups, IAEG awards, affiliated conferences, obituaries, deadlines and geological news from around the world! It is free to us because it will be paid for by advertisers of our profession with their logos throughout the newsletter. Starting with this issue, we will have a small section on meet your officers. We will continue with the traditional newsletter from the secretary general's office three to four times a year — that news is important and is presented in a different format. This newsletter truly connects all engineering geologists around the world. Enjoy! 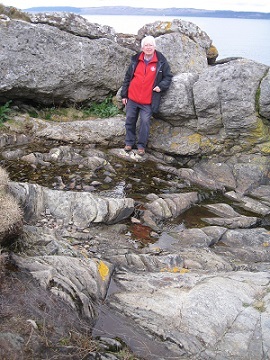 Martin Culshaw is an independent engineering geological editor, researcher and consultant. He was Director of Environment and Hazards at the British Geological Survey (BGS) and the Survey's Chief Engineering Geologist until 2008. He is Visiting Honorary Professor in Engineering Geology at the School of Civil Engineering, University of Birmingham, and an Honorary Research Associate at the BGS. He has been involved in research into the relationship between litho-stratigraphy and geotechnical properties, environmental and engineering geological mapping, geohazard assessment, site investigation, urban geoscience and the application of geology to land use planning for over 40 years. He is a former Vice President of the Geological Society. He has published over 180 papers, books and articles and over 120 technical reports. 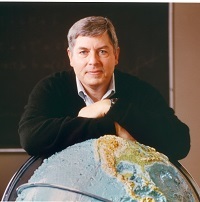 He received the Engineering Group of the Geological Society's Award for 1989, the Geological Society's Glossop Medal in 2004 and the E B Burwell Jr Award from the Geological Society of America in 2006. In 2010 he was awarded the International Association for Engineering Geology and the Environment's Hans Cloos Medal. He is currently Editor-in-Chief of the Bulletin of Engineering Geology and the Environment. He lives near Nottingham, UK, and is married to Philippa. He has a son and a daughter, and his interests include gardening, philately, model railways and soccer. MercuryGate provides powerful transportation management solutions proven to be a competitive advantage for successful shippers, 3PLs, freight forwarders, and brokers. MercuryGate’s solutions are unique in their native support of all modes of transportation on a single platform. MercuryGate delivers exceptional value for users through improved productivity and operational efficiency.